The K481 is a wireless mini keyboard designed for users on-the-go. Designed with a light and compact profile, the K481 rests comfortably on your lap which makes it perfect for the living room. Using the USB signal receiver that is included, the K481 connects to it wirelessly within a distance of up to 10 meters. Featuring four hot keys for multi-media playback, it is perfect for home entertainment and a good complement for MC001. 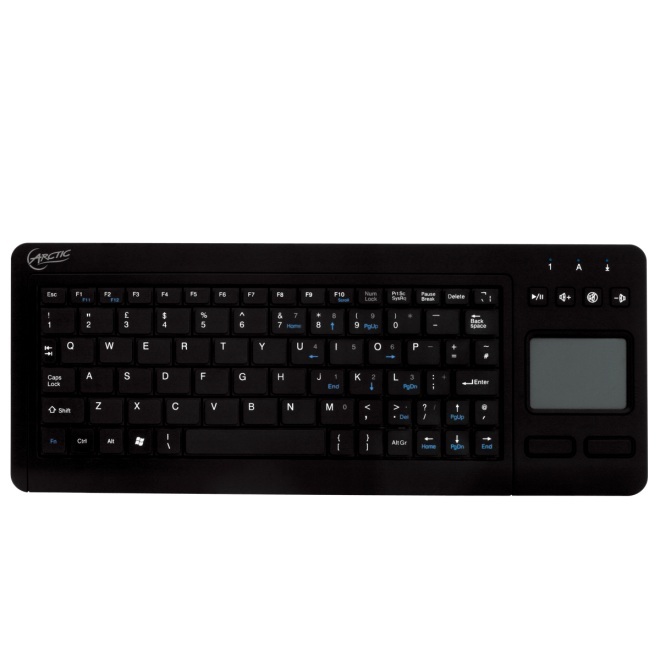 The K481 is a full-featured keyboard which incorporates a multi-touch pad to take the user experience further. You can navigate the cursor, click left and right, drag and scroll effortless with a swipe on the pad. Operated by two AAA batteries, the K481 enters automatic power saving mode after being idle for 10 minutes. Xoxide Zach says - Multimedia keys and even touchpads built into keyboards are nothing new, but the K481 wireless keyboard takes it to the next level with multi-touch support on the touchpad! I can’t even tell you how convenient it is to scroll through pages with just two fingers!